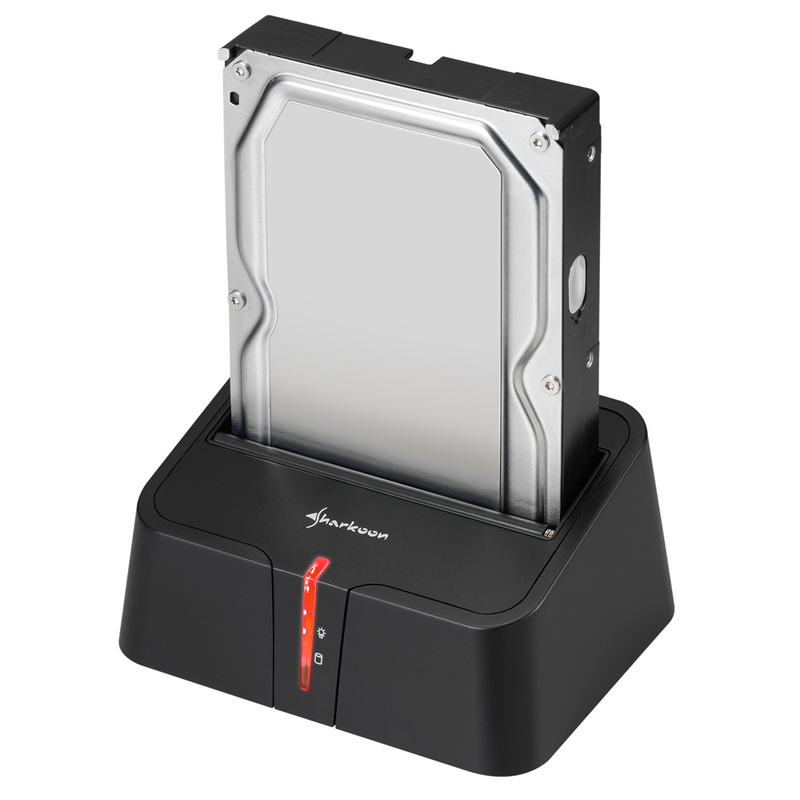 The SATA QuickPort XT USB3.0 is a docking station for SATA hard drives in classic black with red lighting offering native SATA III support. 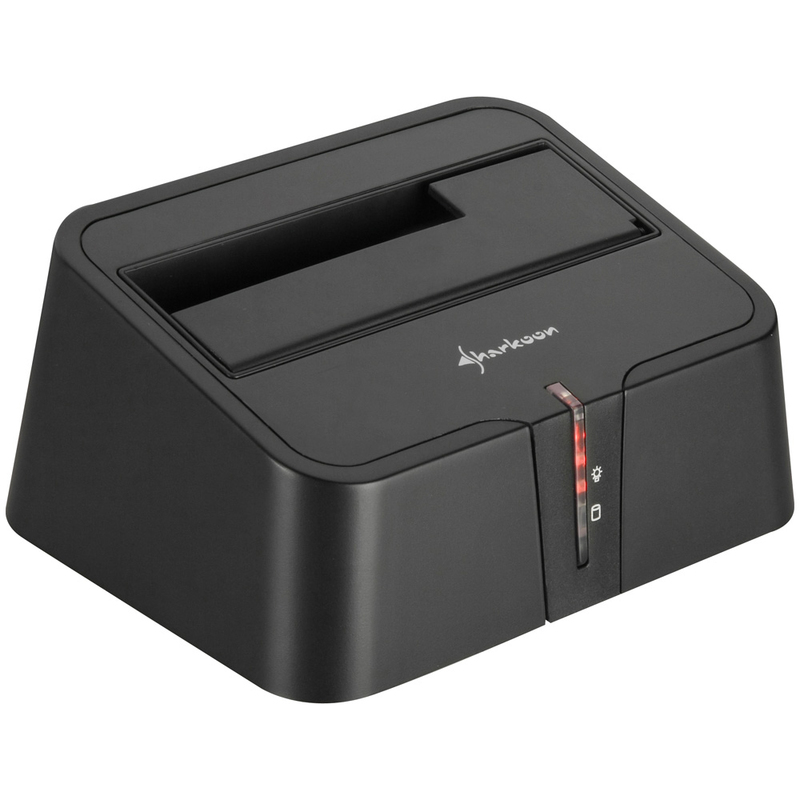 The hard drive dock provides a module slot for a 2.5" or 3.5" SATA hard drive and, of course, 2.5" Solid State Disks can also be used with the SATA QuickPort XT. 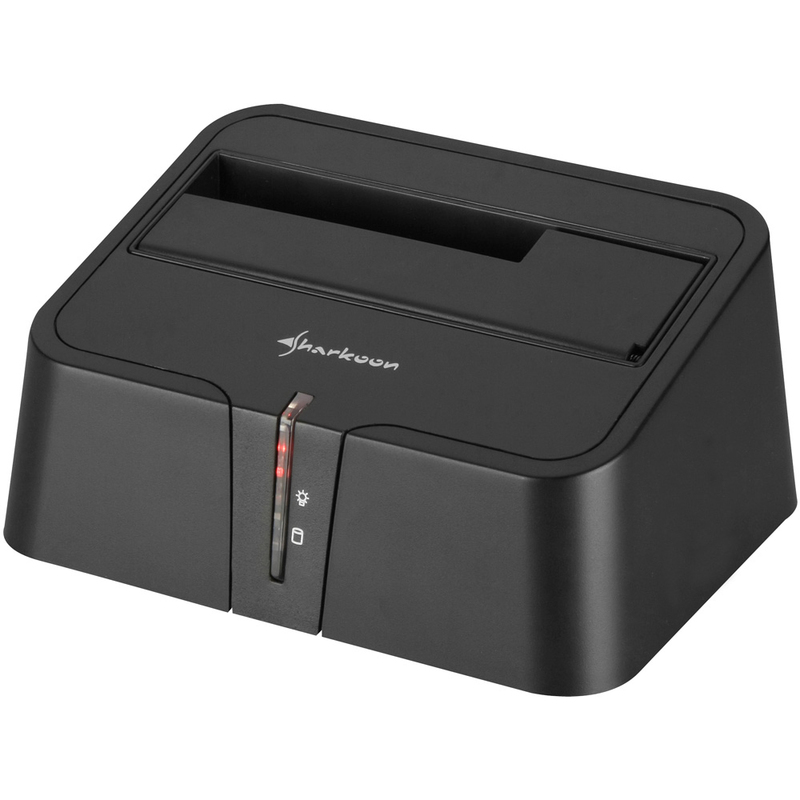 The hard drive station can be connected through a fast USB3.0 port to compatible devices, the respective cable is included into delivery. - Suitable for 2.5" and 3.5" SATA HDDs. - External interface: USB3.0 (max. 5 Gbit/s). - Downwards compatible with USB2.0 (High-Speed). - Native SATA III support. - Dimensions: 130 x 100 x 63 (L x W x H). 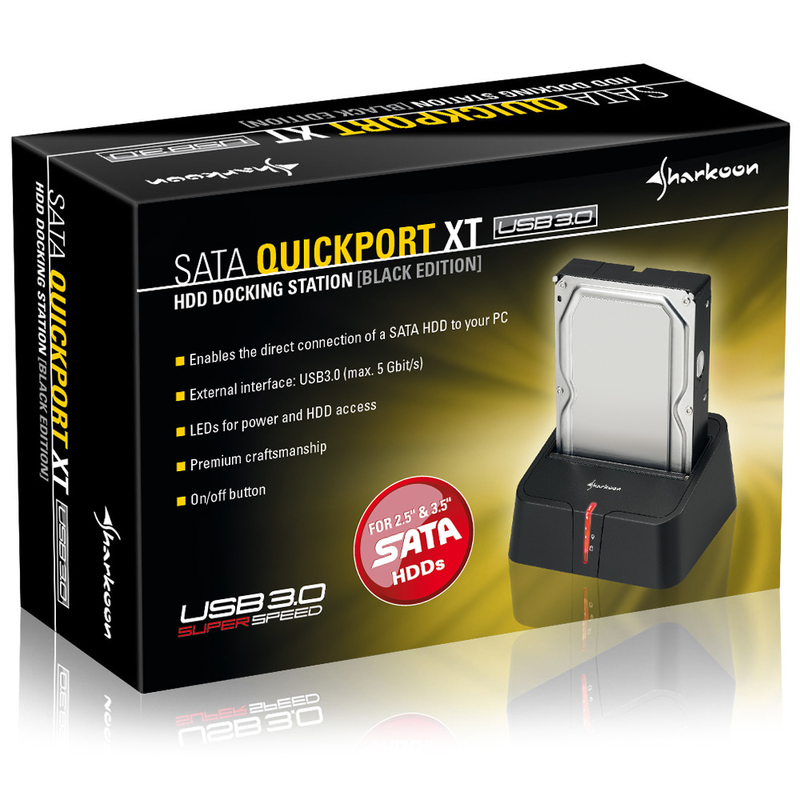 - SATA QuickPort XT USB3.0. - Power adaptor (12 V/2 A). - USB3.0 cable (100 cm).